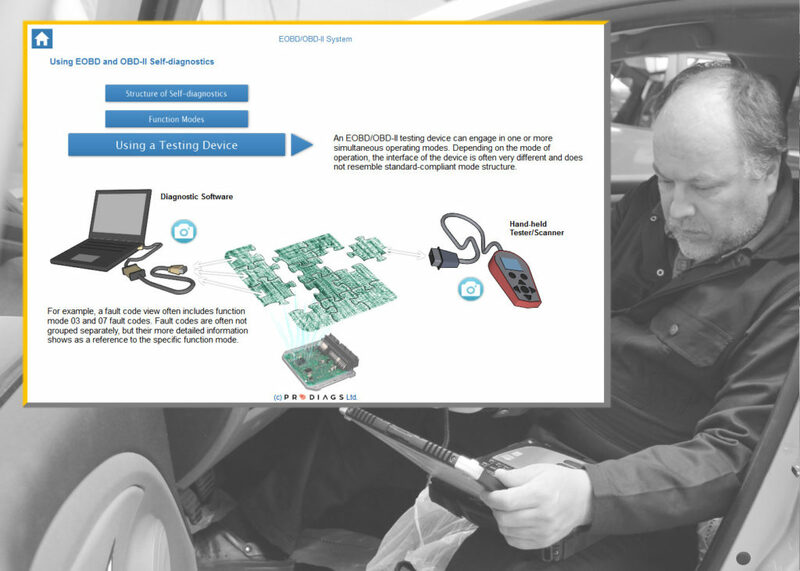 If you want to develop your own diagnostic skills and perform diagnostics, you will need to know the structure and function of EOBD/OBD-II Self-Diagnostics. This study course is for you if you want to make the most effective use of OBD-standard diagnostics. You will learn a lot of new things even if manufacturer’s OEM diagnostics is already familiar to you. Basics of self-diagnostics, component and functional diagnostics. 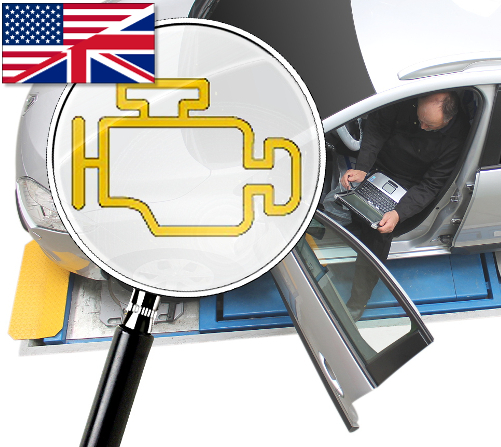 Malfunction indicator lights and diagnostic trouble codes. Diagnostic functions of OBD and OEM diagnostics. Operating modes and PID codes. Partial tests requiring constant monitoring and their utilisation. Partial tests requiring periodic monitoring and their utilisation. Mechanics who inspect and repair vehicles require skills that include knowledge and understanding of how to use OBD diagnostics, specifically for carrying out effective troubleshooting and verifying the vehicle’s roadworthiness following completion of emissions related diagnostic repairs. Utilisation of OBD diagnostic functions requires understanding of how the testing device you use provides information about the operating modes defined in the standard. For example, data on fault codes, condition and freeze frame data, and code deletion are stored in a variety of functional modes. The testing device’s view may be in the mode appropriate for the function, and so you have to visit multiple views to gather all the information, or alternatively the same information may be merged into a single view. In diagnostics, the fault code becomes specified according to how the malfunction affects the data received from the signal, current or function. You can make use of the qualifier of this if you understand the structure of the circuitry and how it works. By utilising the basic skills of electrical engineering and your knowledge of the system, you begin to understand things like how the weakening of supply voltage in signal monitoring can affect its grounding from short circuiting. 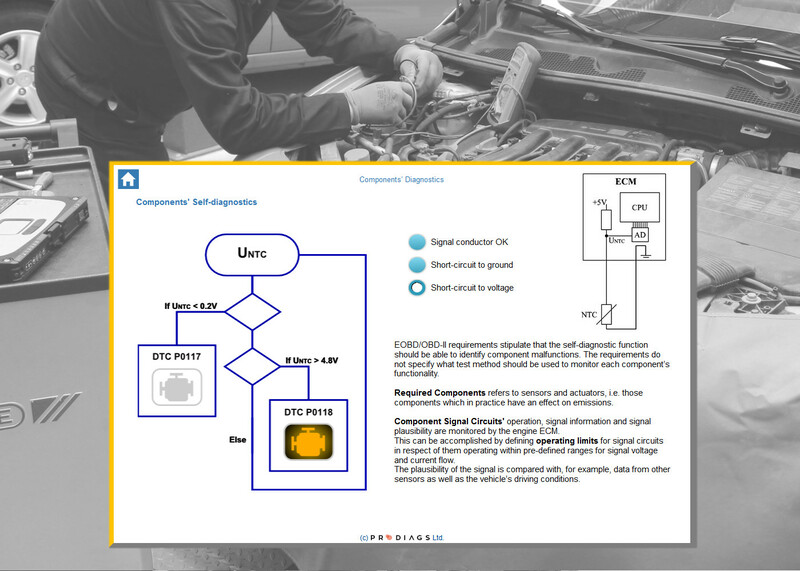 OBD diagnostics’ internal control systems, i.e. partial tests, have an impact on official inspection in connection with roadworthiness inspection, but these should also be made use of by mechanics in post-repair inspection. 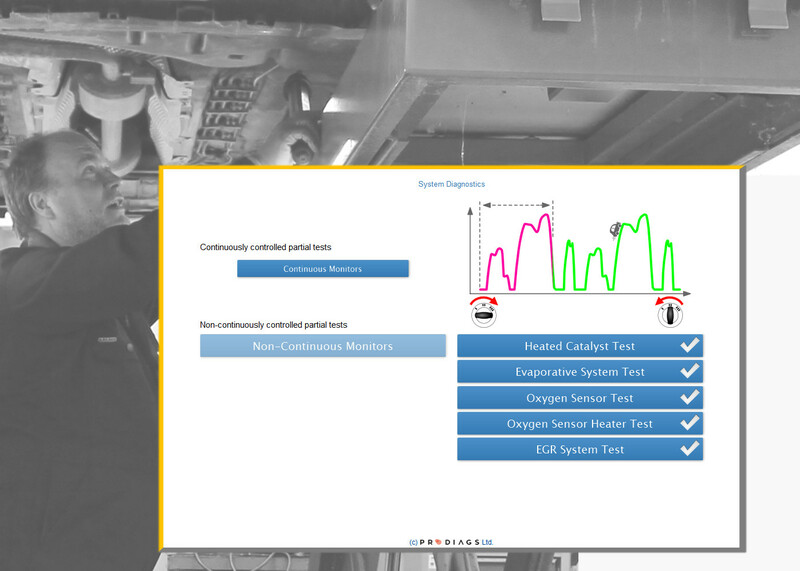 Learn about monitoring systems to take advantage of this self-diagnosis feature. At the same time, you get to understand why a post-repair test drive should be properly planned to include a variety of operating situations. Also, you will learn that simply resetting fault codes and monitoring system results is never a way to fix a fault. Structure and functioning of engine control systems and basics of electricity. 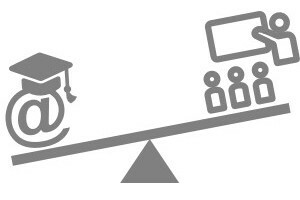 This course’s topics and objectives correspond in scope to a conventional 2 day training event. Once you have made your payment, you get immediate access to the content in the form of a license valid for 6 months. You’ll save time and money by not needing to travel. Internet connection and PC or laptop with browser. After completing your course of study and approved completion of the exercises, you will be allowed to take the final exam. After completing the final exam, you can print a Prodiags certificate from your attainments register as proof of your expertise. As your expertise improves, so too do your skills and abilities in performing fault diagnosis demanding logical reasoning and analysis of test results. You will be able to make effective use of all possible information stored in the engine control module’s OBD memory about faults and system status.